The strap length is awesome for this size bag. It provides you both the long strap to carry from your shoulder or cross body as well as smaller handles to carry the bag at your side. As someone who's traveled a bit in my life I know how important having two carrying options truly is. 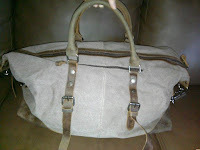 You can also see from this picture that the bag itself is flexible, but the bottom piece has more weight to it making it sturdy and supportive. From the outside it truly looks like a designer piece. The heavy weight canvas and leather add character to it's basic appearance and the straps add the straps with buckles add a classy touch. The zipper area is even lined with additional leather for both looks and purpose. The clasps where the handles attach are also all high quality and heavy duty. 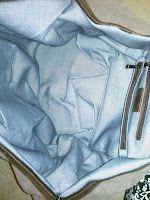 The interior isn't just flimsy fabric, its canvas material and will last for many travels. I'd feel just as comfortable putting clothes in this bag as I would my favorite pair of stilettos. I was able to fit several outfits along with accessories and shoes into this bag. The space it has inside is amazing. 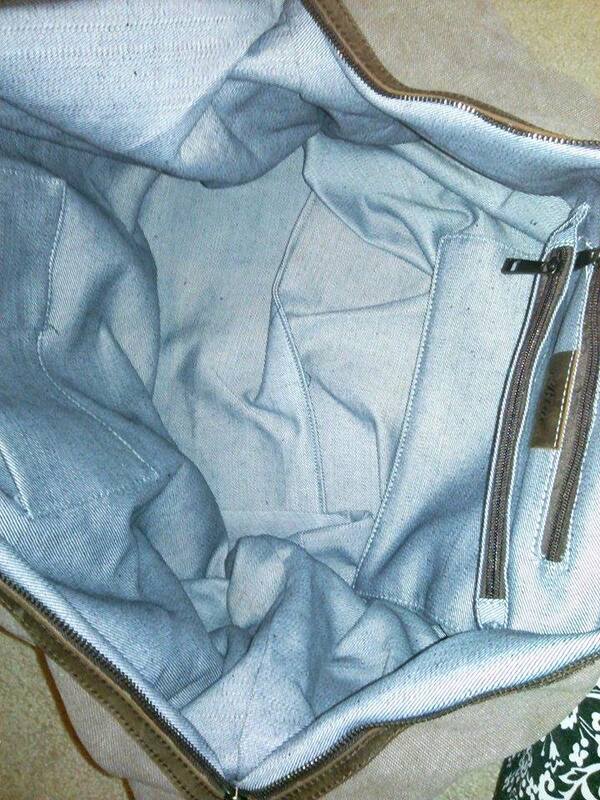 This travel bag is extremely high quality. 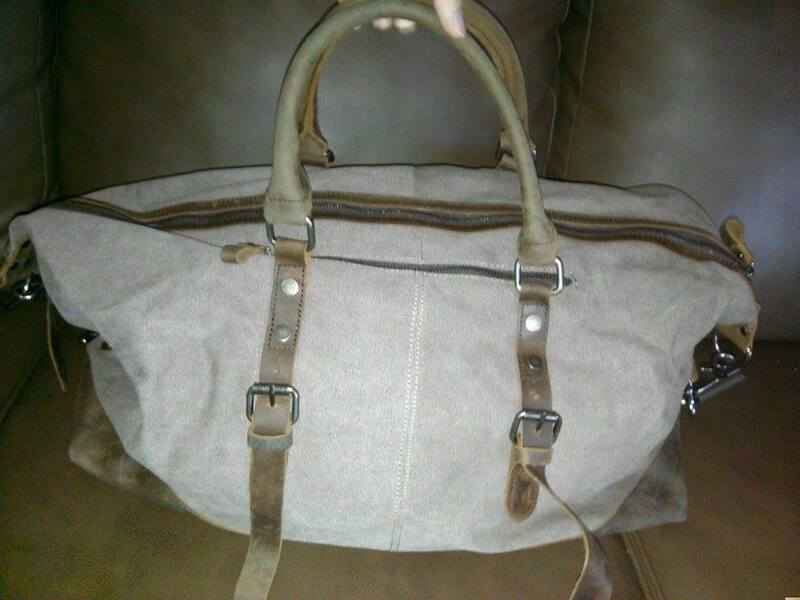 The leather and canvas material is super thick and sturdy and will protect what is inside. It's heavy weight material, but the bag itself is remarkably not cumbersome at all. 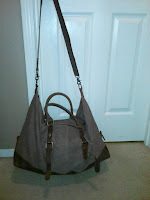 I can not wait to take this bag with me on my next trip! That a really nice bag!